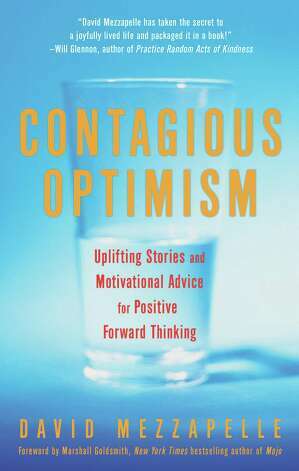 David Mezzapelle's book Contagious Optimism is flooded with uplifting stories and motivational advice to rattle your cage, pull you out of that hole and move you in a positive forward direction. Sometimes the right book or interview at the right time and change your mood, perspective or life. This is that interview. This is that book. It's time to catch optimism! David Mezzapelle was inspired to write this book series based on his life's experiences, his own contagious optimism, and the encouragement of his Alma Mater, Fairfield University in Connecticut. A portion of each sale will go to the school along with other charities. Mezzapelle was the founder and director of marketing for Goliath Technology from 1990 - 2007, a data center infrastructure company that supported corporations, schools and government agencies worldwide. In addition, Mezzapelle orchestrated one of the most innovative internship programs ever created which has become a staple for organizations today. Prior to 1990, Mezzapelle was an intern for IBM while attending school at Fairfield. Goliath Technology was sold in 2007 and Mezzapelle pursued the next level of his passion, building employment tools for schools, students and alumni via GoliathJobs, a marketing and consulting organization he created in 2006 and retained after the sale of his company. He also launched a niche portal for baby boomers and retirees, JobsOver50.com, which has become the number one web-based employment resource in North America for the age 50+ demographic. In 2009, Mezzapelle's company, Goliath LLC, formed a joint venture with SilverCensus and Mezzapelle became their marketing & development advisor. Within one year the new SilverCensus grew from a Florida-based directory to a leading senior living and health services resource in the U.S. under his guidance. Today, Mezzapelle consults on various projects along with serving on several boards and philanthropic initiatives. Throughout his life, Mezzapelle has encountered great peaks and valleys all of which he is grateful for. He never lost sight along the way and has kept his glass "completely full." He has influenced many people with his outlook and these books are his way of offering optimism to others. Mezzapelle has been a guest on various radio and television programs. He is a frequent contributor to the Wall Street Journal and various other publications around the globe. Mezzapelle is also a TEDx and Contagious Optimism LIVE! speaker. Lisa Jesswein is a long-time Detroit radio personality waking up listeners for over 17 years with her positive personality and infectious laugh. Now as a member of the Empower Radio family, she works to bring hope, inspiration and information through the conversations on her show "Real Life". She believes that it's possible to live your life with intention, peace, abundance and joy when we choose to meet challenges head on. Staying positive in a negative world is a challenge but one that Lisa has faced countless times as a two-time kidney transplant recipient, cancer survivor, divorcee and intuitive reader. Lisa has been an inspirational speaker since the age of 14 when she was asked by medical staff to speak on organ donation at the state capitol. She has been motivating people ever since and now brings her mission of helping others to Empower Radio.